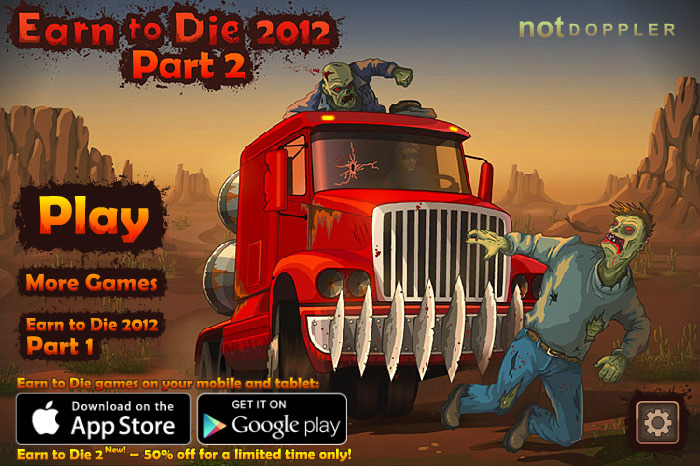 Ram and smash the zombie population that is taking over the local desert in this action-packed flash game, Earn to Die 2012 Part 2! Reach the finish line in the fewest days possible in order to earn large stacks of cash and brag to your friends. 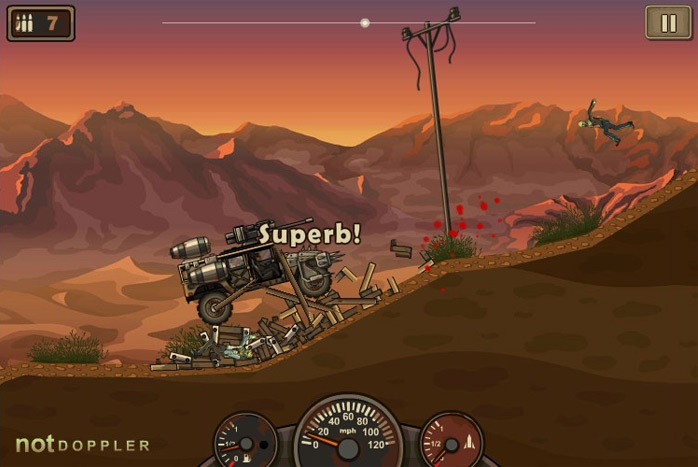 Do you have the skills needed to survive in the desert during a zombie apocalypse? Play it now to find out! 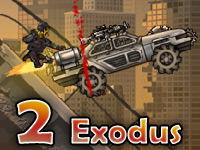 Similar to the previous version in this multi-part game, there are three different levels for you to complete. 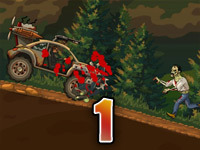 Each level is associated with a new location. 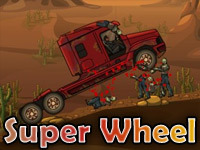 Your job is to upgrade your vehicle in order to defeat all of the zombies along your journey and make it to the goal line. 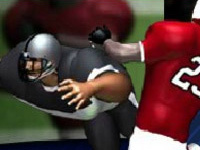 The controls are very similar to the previous version as well. In order to accelerate your vehicle, simply press the up arrow. To control the vehicle’s tilt, use your left and right arrow keys. 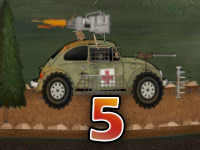 When you’ve unlocked the boosters on each vehicle, you can press either the X or Ctrl keys to activate them throughout the game. When you enter the garage, you will notice that you have three vehicles available to use. 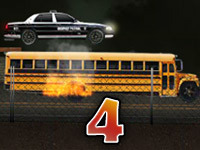 However, in order to use the more advanced vehicles, you will need to complete certain levels in the game to unlock them. 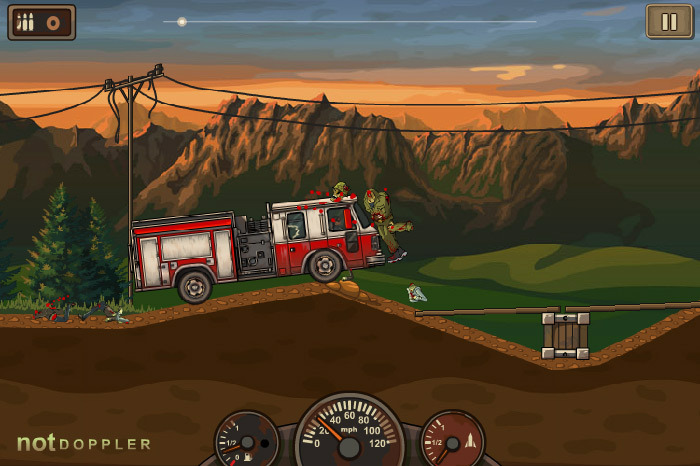 You begin the game using the starter vehicle – the firetruck. 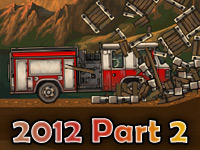 Once you’ve successfully completed level one, you can then unlock the second vehicle – the big rig. 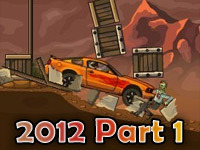 When you’ve completed level two, you can then unlock the final vehicle – the flatbed truck. Each vehicle is equipped with basic parts that will need to be upgraded in order to get you to your destination. 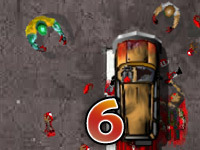 There are a total of seven different upgradeable parts for each vehicle. As you purchase new vehicles, keep in mind that you will begin that stage with an unupgraded truck and will need to continue upgrading it in order to make it to the goal line.